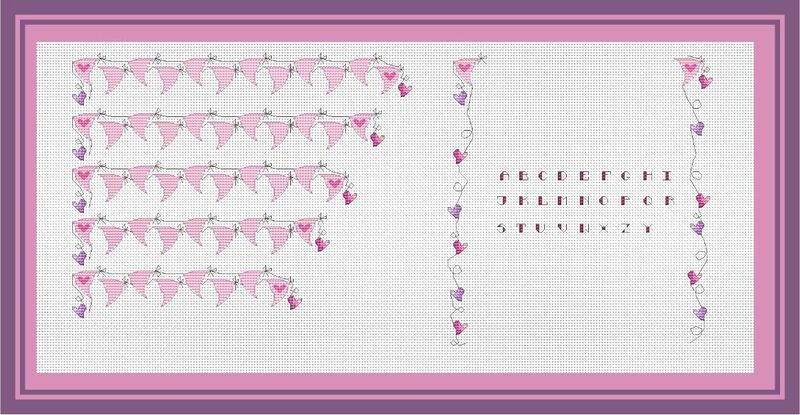 A very pink roomplate with fully personalised bunting to accommodate up to 10 letters. 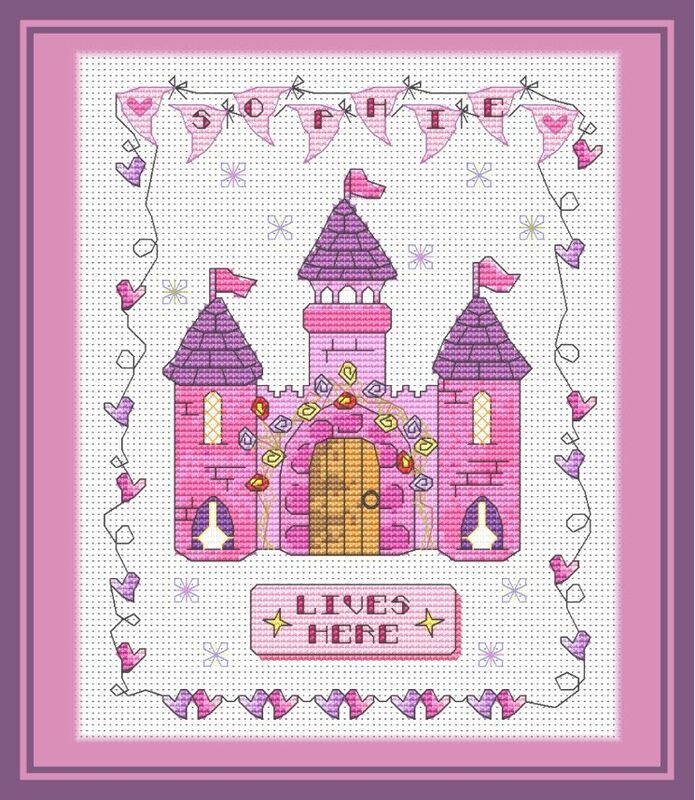 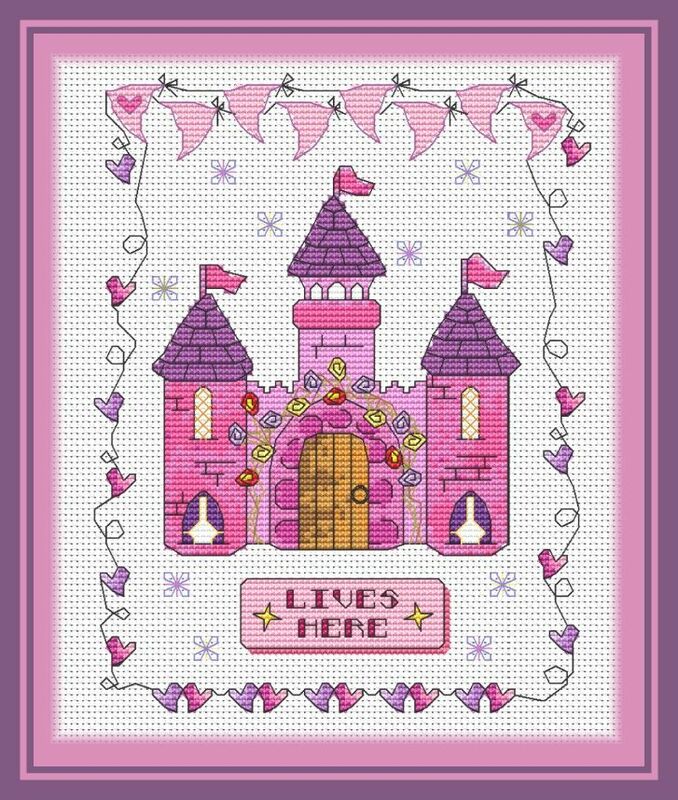 Perfect for little princesses!!! 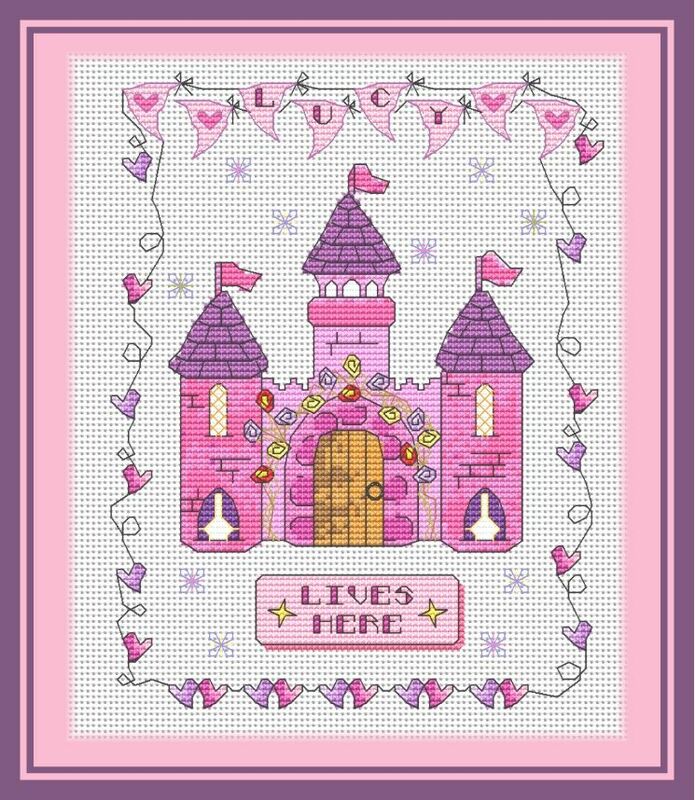 Full & factractional cross stitches with back stitch and long stitch. 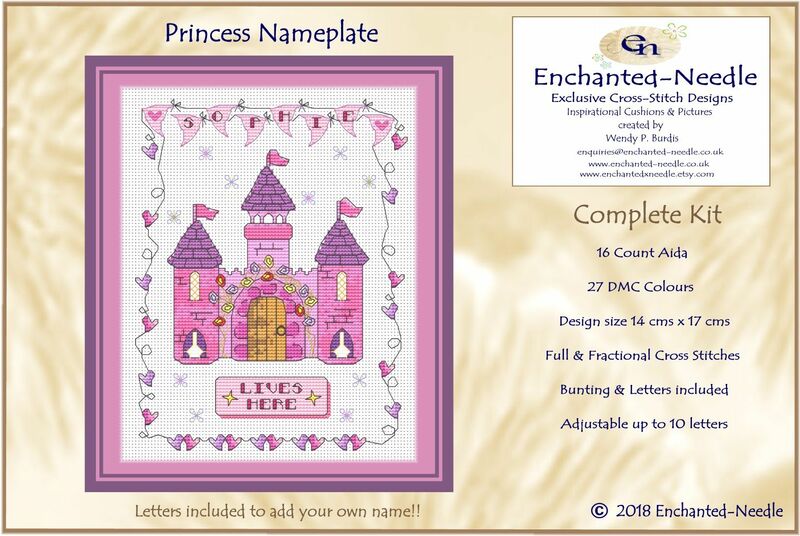 Kit includes: Colour Cover Sheet, Aida, Needle, Pre-sorted DMC Threads, Colour Symbols Chart & Legend, Bunting and text sheet, Instructions and Plastic Wallet.